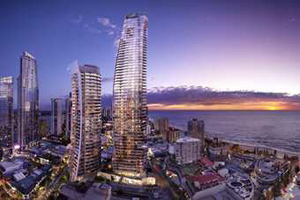 The Hilton Surfers Paradise complex, located on Queensland's gold coast, opened last month. The $700 million development is the Hilton Hotels & Resorts' newest flagship property in Australia and will be the first Hilton in the country to offer a combination of both guest rooms and holiday residences. The complex has 169 guest rooms and 250 apartments. Meeting facilities include the ballroom, equipped with the latest audio-visual technology and which can accommodate up to 350 guests cocktail-style, and a number of smaller boardroom-style breakout rooms. The hotel also has a number of outdoor and indoor function spaces, suitable for conferences and business meetings of all sizes.